Looking for a fantastic fun day out? We now offer 2 hour alpaca experiences. 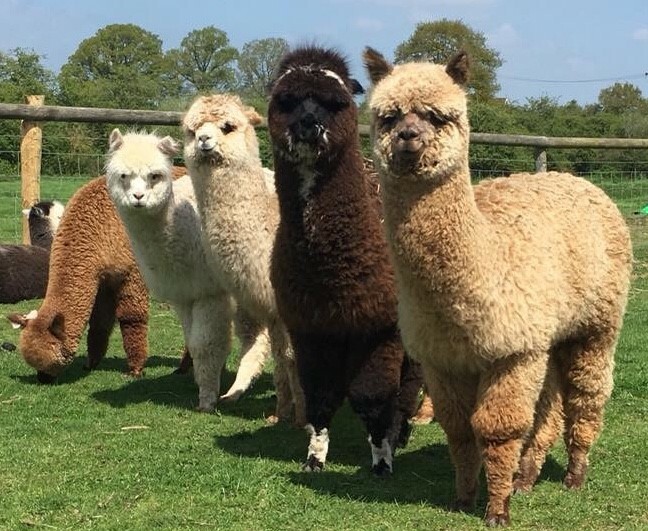 Come and meet the herd and learn all about alpacas! We start with a short introduction talk about alpacas and the chance to see our hand knitted alpaca accessories in our farm shop. 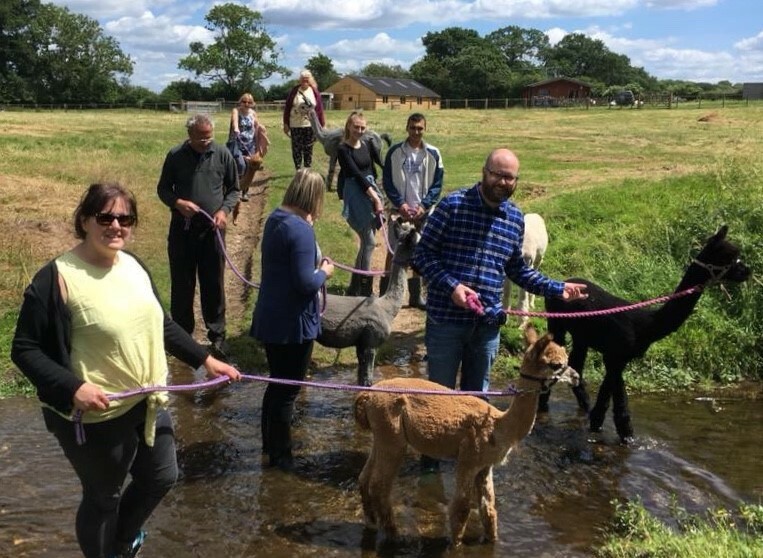 Then meet the alpacas, cuddle some babies and take photos followed by a tour round the farm to feed the herd and we finish with taking an alpaca for a walk. Our experiences have proved to be extremely popular! See our Facebook pages for more information and to view our 5* reviews! All children must be accompanied by a paying adult. Over 12s can walk the alpaca, unders can walk with an adult. Sorry but no dogs allowed. Private dates can be arranged for groups of 8 or more. We can also provide gift cards so experiences can be given as gifts. The cost is £15 per person and all experiences must be booked in advance. Email info@faerietalealpacas.co.uk or text 07950 671672 for our available dates and times and to book.